The warm autumn air ebbed around us as we set out towards the water. The plan was to ride along the Marvin Braude path into Marina Del Rey and then cross through into Venice where we would be attending a film screening at a community garden for the film Growing Cities, a look at urban agriculture's development across the United States. It was late in the afternoon in the middle of November, but the weather was a balmy 80 degrees and even with the slight sea breeze, it was a comfortable day for a ride. Cresting the final hill, we descended to the water and picked up the trail, joining the stream of cyclists and other pedestrians enjoying the remnants of the afternoon sunlight. The beach is always a wonderful place to be in Southern California. We pass by families with children building sand castles along the water line, people playing volleyball in Manhattan Beach, and hang gliders taking off near Dockweiler. As we cross the bridge into Marina Del Rey, the sun begins to cast that deep orange glow that signals that it is about to set. Another 30 minutes and we finally arrive to catch our movie, but the real adventure had just begun. I could spend all day waxing poetic about this car, but I have already done that to an extent in my original review of the F-Type, so I will spare you all the extra flowery prose. Instead, I will use this opportunity to simply introduce you all to the latest addition to our long-term fleet, our very own Jaguar F-Type. Unlike in my original review, the car that joins our long-term fleet is actually the base V6 model, but with a few cosmetic options to give it a more aggressive appearance. For starters, our car is fitted with the black appearance package, which replaces nearly every piece of chrome on the car's sinewy exterior with piano black trim. 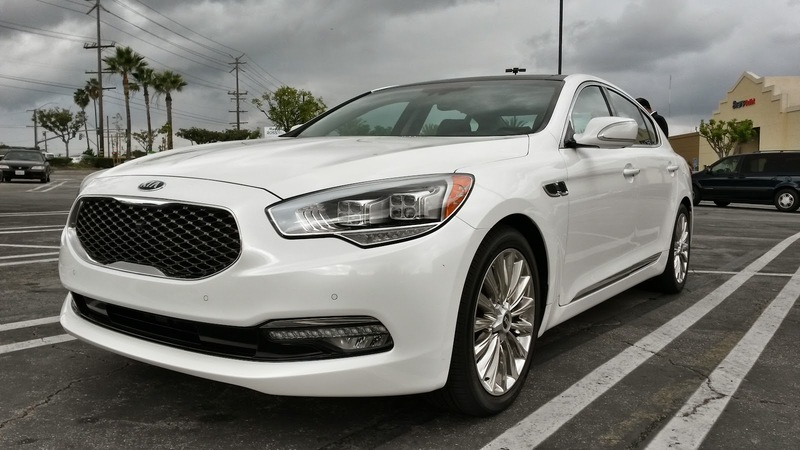 The contrast against the car's richly luxuriant Polaris White paint imparts a sinister look, especially sitting on a set of 19-inch Orbit wheels in a matching gloss black with polished metal accents. This car is the perfect accompaniment for that super villain that understands subtlety. What is missing from this car, however, is the switchable active exhaust system. As much as that option was desired, it was difficult to locate a car with that standalone that did not also include a ton of other options. 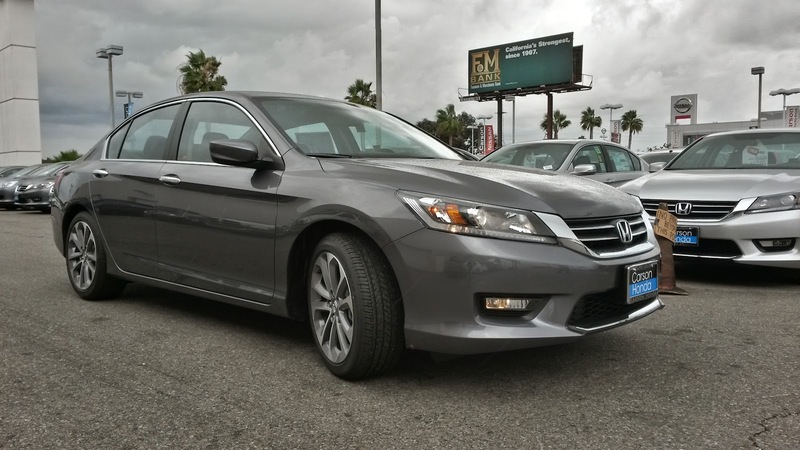 Since we were targeting a price point, we opted to forgo the option and get the car that had both the looks and performance. That is not to say that the noise emanating from the dual howitzers centered in the rear bumper is in any way tame. The supercharged V6 bellows harmoniously from that exaggerated exhaust setup in the same beautiful melodies as always, even the sharp bark when upshifting on throttle, just in a slightly more muted tone. I suspect the neighbors will be appreciative that we accepted this trade-off. Inside, the premium package added seats that are 14-way, though it feels more like infinitely, adjustable with three seat memory positions for both the driver and passenger. The climate pack gives us heating on those crazy adjustable seats as well as heating for the steering wheel -- features that will be appreciated greatly during those chilly coastal evenings. The interior is largely black on black, but with a silvery aluminum trim offering some contrast on the center console. And, thankfully, the theatricality that makes Jaguar unique has not been lost, as the beating heart flash of the starter button and the rising center console air vents continues that tradition, along with the trick exterior door handles. Under the hood, the 3.0L V6 has a supercharger pressurizing the intake to make a stout 340 hp and 332 lb-ft of torque. Attached to the 8-speed automatic transmission, this drive train is good for about 5.1 second 0-60 mph and a 161 mph top speed. Given that this car will largely be carving coastal canyons rather than treeing at the local drags, this it plenty quick. Besides, with that beautiful aural experience to enjoy, speed is not point. This is car that is meant to be driven along the coast, top down with a sea breeze blasting through your hair, the sound of the exhaust ringing in your ears. We will be taking every opportunity to do precisely that and sharing our updates with you. attempt to sneak in a long ride every once in a while over a weekend. A few trips have been managed including such places as the Angeles Crest Highway, which I will revisit when conditions allow for more spirited riding with less fear of hypothermia. Whatever the case, the bike does continue to see some use, at least enough that I have officially crossed over the 25k mark. If there has been anything of note with the bike's operation in the last few months, it is that the wide open running on CA roads has seen an uptick in the fuel economy, which is nice given that CA does not carry anything more than 91 octane fuel at the vast majority of gas stations. On top of that, CA is still the only state where lane splitting is allowed -- a fact that I find myself taking advantage of at any opportunity that requires it. The big Beemer, despite feeling quite wide, is actually surprisingly capable of squeezing into tight spaces, even when it is wearing the hard saddle bags. Fully loaded, the bags do not extend beyond the width of the mirrors, offering a good frame of reference when ducking between cars. Of course, it is still a hefty bike and low speed maneuvering in tight spaces can feel a bit claustrophobic. With a bit of care, I am able to make significant progress even when traffic is fully gridlocked, increasingly important for my sanity with the heavy LA area traffic. One other slightly odd experience has less to do with using the bike, but rather with the placement of certain information on the bike. Registering it and the CA DMV would have been much another if the information needed during the inspection were more readily visible. Things like the frame number and the engine number are so well hidden and virtually unreadable that even the DMV rep, using the approved California Highway Patrol handbook, took nearly half an hour just trying to locate the stampings in question. Eventually, we were forced to call the local BMW motorcycle dealer service department to get some help, and even then it was a struggle to read. Not necessarily a knock on the bike itself, but that turned a 30 minute DMV visit into a two hour ordeal. A minor inconvenience for the joy of owning what may be one of the most versatile motorcycles money can buy. 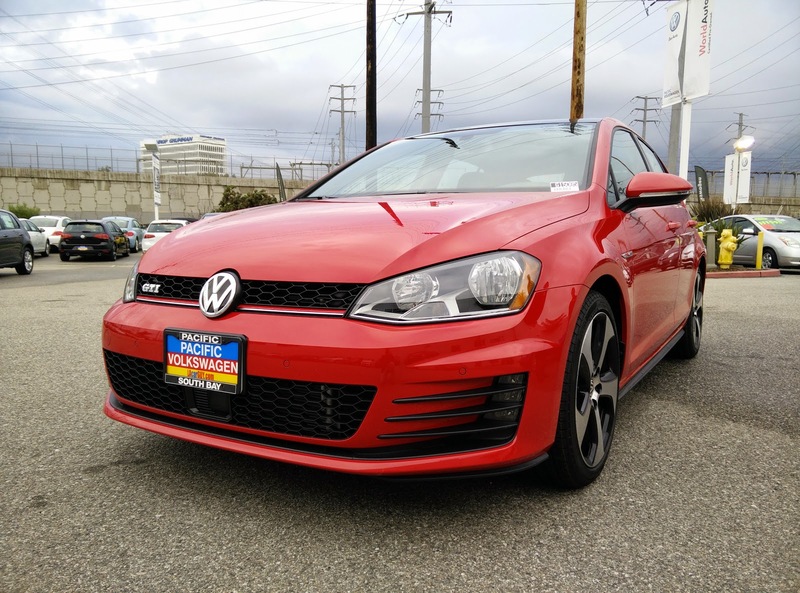 The Volkswagen Golf GTI is one of those cars that I have always wanted to like, but find difficulty in doing so because there always seems to be some kind of major flaw that is difficult to overlook. When I had heard that an all new GTI was ready to make its debut, I was hesitant to get excited about it. After reading about the car though, I began to get more excited about it. Apparently, this is a car that is so good, Motor Trend magazine had named the latest generation of the Golf its "Car of the Year." As soon as my local Volkswagen dealer got a stock of manual equipped GTIs in its inventory, I headed over to see why Motor Trend enjoyed this car so much. The Acura MDX is one of the best selling car-based SUVs. It has been all over the news lately: OPEC's decision not to cut production to raise oil prices has led to the lowest gas prices since 2009. That is a huge deal! As much as any other car loving American, I love the idea of lower gas prices, even though my current care requires no gasoline at all (yes, that was a shameless EV plug). What I do not love, however, is the collective amnesia that my fellow Americans seem to develop whenever gas prices see a dip. The last month of 2014 was yet another record sales month for many automakers, spurred by the increase in demand for SUVs and trucks -- SUVs and trucks that often get terrible fuel economy when compared with more reasonably sized family sedans or smaller, more fuel efficient cars. The vast majority of Americans are not purchasing new vehicles in cash, which means that there is some kind of leasing or financing involved. That means a likely commitment of at least 24 months minimum, but more likely 60 or 72 months, a financing term which is slowly becoming increasingly available and popular. Even a two year commitment on a new vehicle, especially one that gets a combined fuel economy of around 20 mpg, means spending nearly $3,200 on regular fuel to drive the typical 12,000 miles a year at the current gas prices here in CA. If prices increase back to what they were about a year ago, that is an increase of $1,200 over two years. That is like making one extra car payment each year. The numbers are even larger if the truck or SUV drinks premium instead of regular. And SUVs getting 20 mpg combined tend to be smaller, car-platform based crossovers like the Acura RDX or Audi Q5. Standard size SUVs and trucks average closer to 17 mpg, driving up the annual fuel cost at least another $200+ dollars at current prices and upwards of $300+ if prices swing back up to last year's levels. Welcome to the new year! We hope everyone had a wonderful holiday season and has had a chance to relax, unwind, and rest up for what should be an eventful new year. To kick things off, we started our year with a brand new addition to our long-term fleet, which we will be introducing soon. There are also several new road trips, many new test drives, as well as a handful of other exciting opportunities that we will are looking forward to sharing with everyone. However, to help us make sure we are giving you what you want, we would love to hear, through the comments or by filling out our contact form, about any ideas or suggestions you have for things you want to read about. If we end up using your idea, we will thank you with a small token of our appreciation, so please make sure we have a way to reach you. Both of us here at East-West Brothers Garage want to wish everyone a Happy New Year! Drive safe, ride safe, and keep the the rubber side down.